Learn how to play bass with this best-selling bass guitar method. 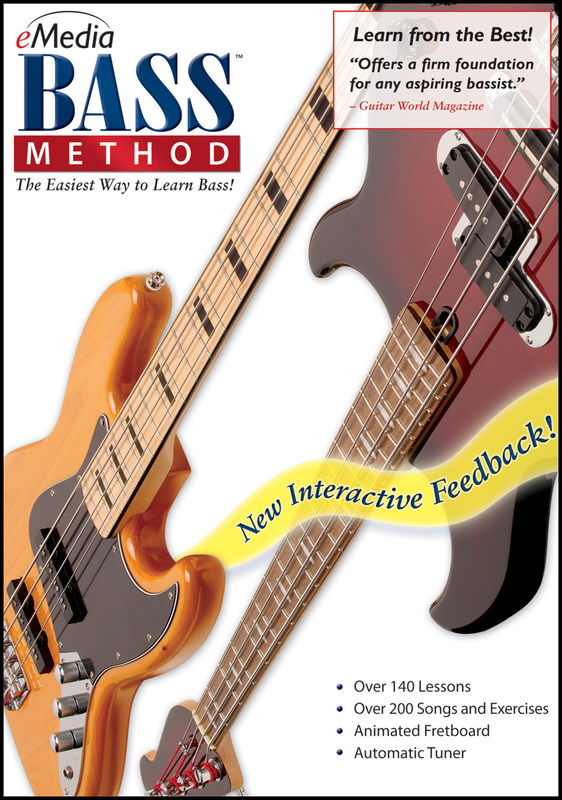 Noted bassist and teacher John Arbo takes you through a complete bass tutorial with 140 bass lessons that show you how to tune the bass, read bass tabs and notes, play bass scales and master common bass parts. eMedia Interactive Feedback technologies, like the Note and Finger Tracker, make learning bass faster. Bass lessons use popular, easy bass songs like “Rock’n Me” by Steve Miller and the Grateful Dead’s “Uncle John’s Band” to make learning how to play bass fun.